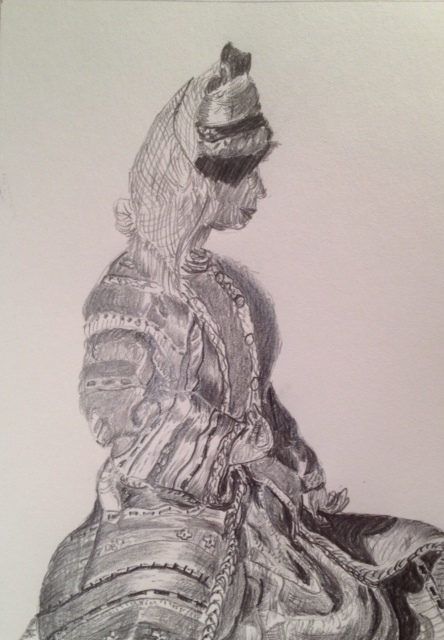 A 4″ x 6″ graphite drawing of a doll that depicts am ethnic group maybe in western Asia. I drew her hands as they were found although I added the thumb on her left hand which makes it look unrealistic. It needs some touching up and perhaps some kind of background.